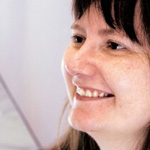 Kate McLoughlin is Senior Lecturer in English Literature at Birkbeck, University of London. She is the author of 'Authoring War: The Literary Representation of War from the Iliad to Iraq' (2011) and 'Martha Gellhorn: The War Writer in the Field and in the Text' (2007), editor of 'The Cambridge Companion to War Writing' (2009) and co-editor of 'Memory, Mourning, Landscape' (2010) and 'Tove Jansson Rediscovered' (2007). She is also editor of 'The Modernist Party', forthcoming from Edinburgh University Press, and co-General Editor of EUP’s monograph series on 'War and Culture'. With Gill Plain of the University of St. Andrews, she is founder and director of WAR-Net, an international, inter-disciplinary network for scholars working on war representation. Her current projects are a British Academy-sponsored monograph on veterans coming home in English Literature from Wordsworth to Zadie Smith and a series of articles on micro-rhetoric in modern literature. Her first poetry collection, 'Plums', was published by flipped eye in 2011.